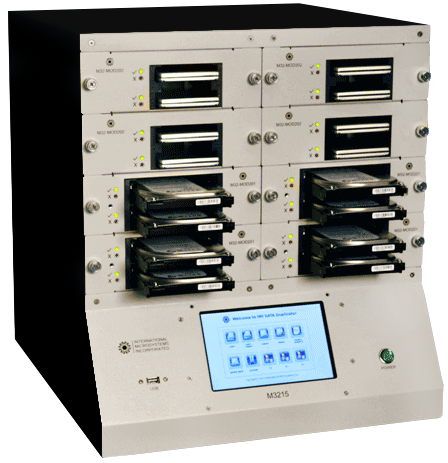 The M3200 is a professional duplication system that performs fast parallel duplication of SATA & SAS devices. Ultra fast copying for up to 15 devices in parallel. 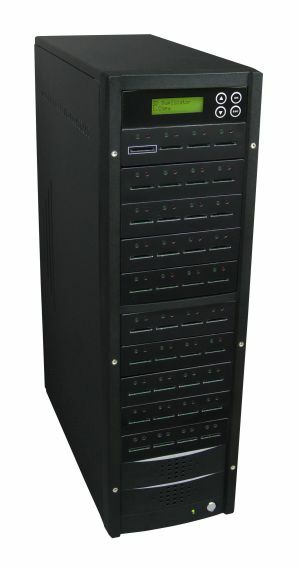 A large Touch screen display allows fast and easy stand-alone duplication. M3200 offers sector to sector copy meaning that the target devices are 100% identical to the original master device. Includes the best and most reliable verification process possible by performing a check on the target devices using a 'bit-by-bit' verification against the master. The M3200 supports all SATA form factors including 3.5", 2.5", 1.8", MO-297, MO-300 and custom. Through its unique design, the M3200 allows you to write your own scripts and adapt the system to your specific needs in your production environment.